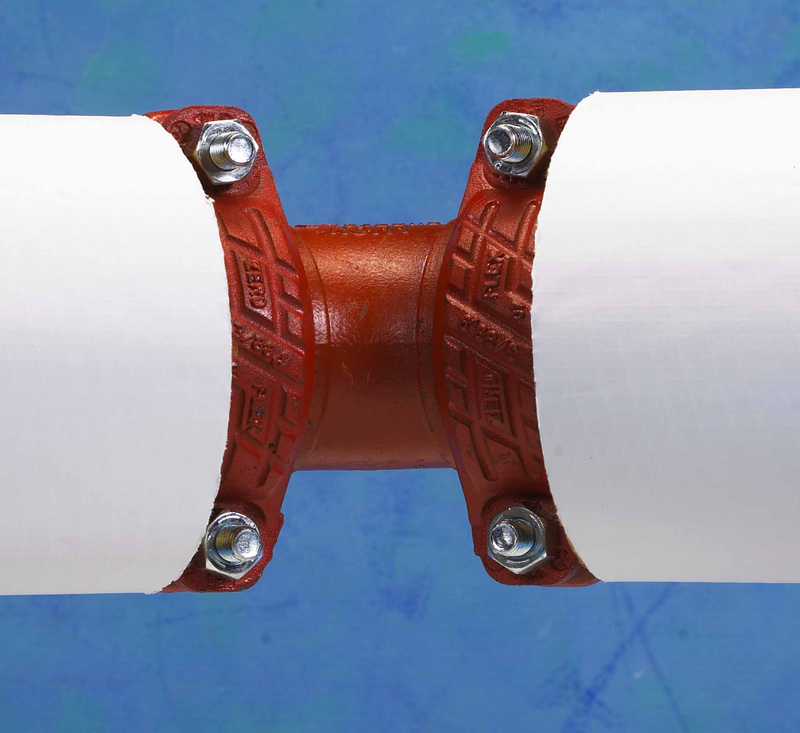 NO SWEAT™ Mechanical Grooved Fitting Covers are a patented flexible insulation system designed for use with routine mechanical pipe insulation systems. They are quick and easy to install, ideal for indoor or outdoor use on domestic water, chilled water, dual temperature, hot water and steam, along with other piping systems in commercial, institutional and industrial applications. 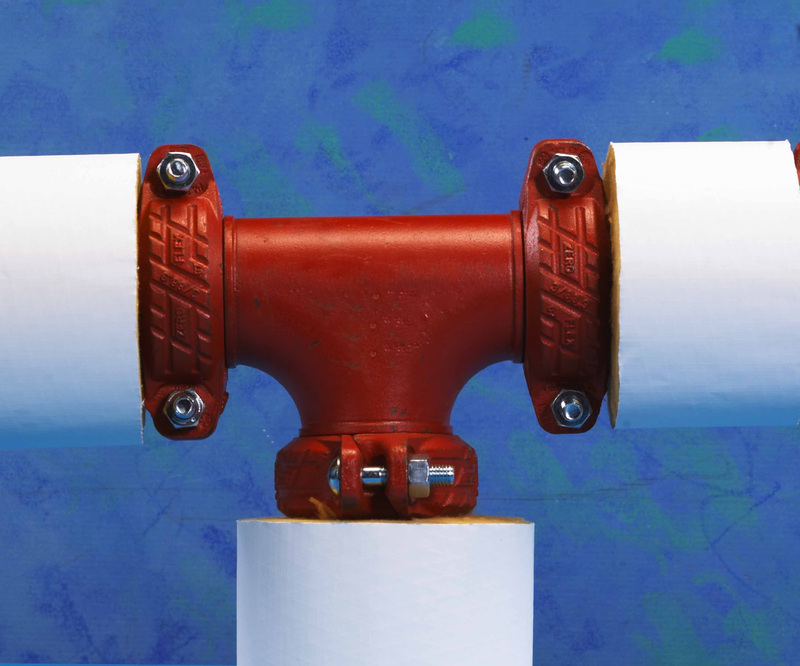 NO SWEAT™ Mechanical Grooved Fitting Covers come packaged with a 2" insulation thick fiberglass insert and an outer cover of DuPont Tychem QC®. 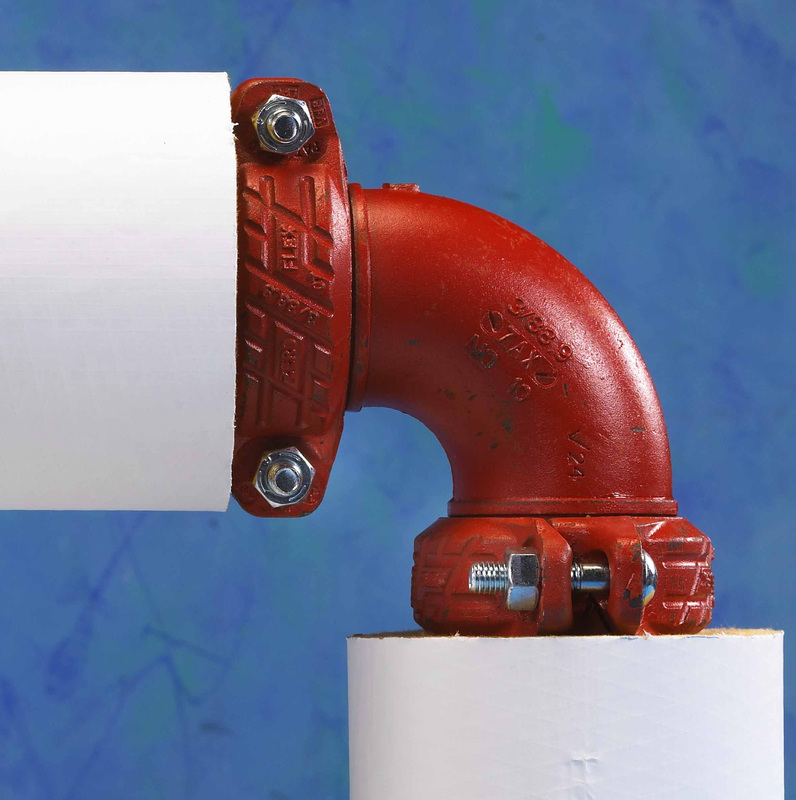 The wrap easily stretches around the insulated valve and is secured with a Velcro closure. 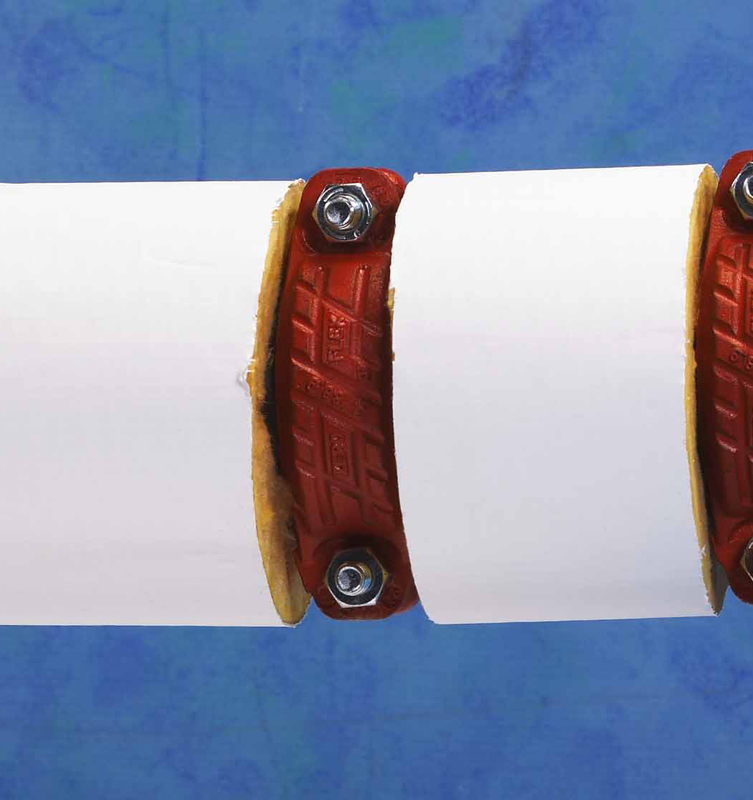 The fitting covers are flexible to fit, match any grooved fitting profile, and require no "stepped" snipping or cutting. All mechanical grooved fittings in chilled water and heating hot water systems, shall be insulated with a factory fabricated removable and reusable cover. For fittings where operating temperature is below 45°F (7°C), or where the pipe insulation is greater than 2" (50.8mm), two or more layers of the insulation inserts are required beneath the NO SWEAT™ cover surface. For fittings where operating temperatures exceed 250°F (121°C), or where pipe insulation is greater than 2" (50.8mm), two or more layers of the insulation inserts are required beneath the NO SWEAT™ cover surface.